you that’s the spot…it’s def not a location where you think “restaurant” but this team has enough rep that Think they will pull it off. Read similar things about the previous iteration; lousy often combative service, unreal wait times/pacing, and poor $$ to quality/value. Had it on bottom of a list of places to try but never made it, so not surprised it’s gone. In that location you need to really shine to keep going I think. Hopefully this time around the new team puts a gem there; they could use something good in that vicinity. did you ever make it there CJ? Gotta hit this place up soon…very excited. I was waiting to hear myself, I wanted to go muse but got sidetracked. So a few of us HOs went to the Greek spot last night. There was talk of Yumi moving to RB. Does anyone have any further info? I’m guessing pricing will not be coming down at all. 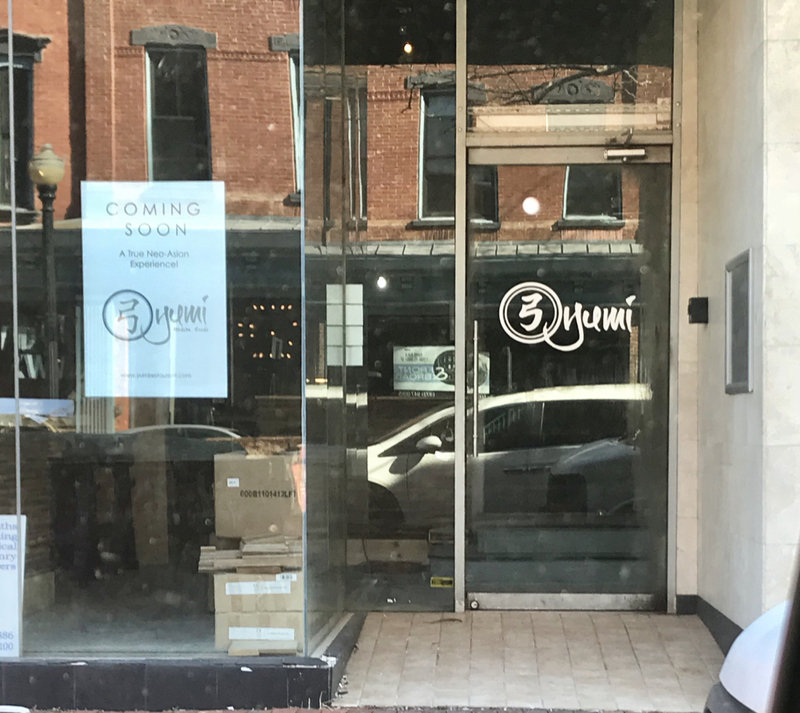 There’s a new sushi spot coming to Red Bank! Hello, Yumi! I guess that Mexican concept didn’t work out for that Catch space. I’ve never been impressed with sushi in Red Bank. How is Yumi in Sea Bright? We have never tried it. Have you tried Sono Sushi in Middletown on 35? It’s the only place in the area I really care for Sushi wise. We tried Yumi once and weren’t impressed, but they seem more known for speciality rolls and I am more of a traditionalist. We feel Sono sushi and sashimi better. Yes! Sono is our regular spot for sushi. And as a bonus they adore my toddler. I’m always impressed that they seem to know every customer by name. Agree with others that Sono in Middletown is one of the best in our area. We’ve eaten at Yumi several times and while the food is good, it’s expensive. I think they make the sushi, rolls, and sashimi smaller than most places and therefore you order more. Each time we’ve eaten at Yumi, we came home smelling like grease. Didn’t smell grease in the restaurant though. We like Sogo Sushi in Red Bank. It’s all brown rice by default, which I need for health reasons. It’s also more conveniently located for us. Eddie from Sallee Tee’s is the sushi chef there. He makes a really good calamari salad. So I hit Tino’s, formerly Linos, last night. Not pictured are the free chips, the gaucamole, and the green and red salsa. I just snapped two quick pics. For 21 dollars you can feed 3 people…not a bad dish. 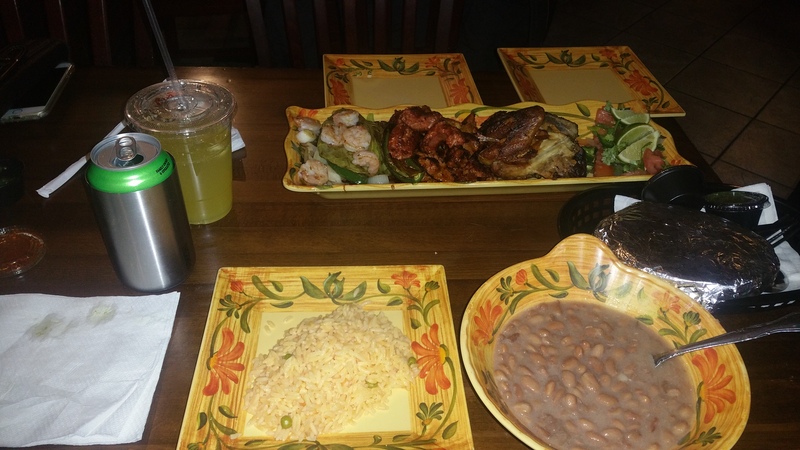 It comes with beans, rice and tortillas. 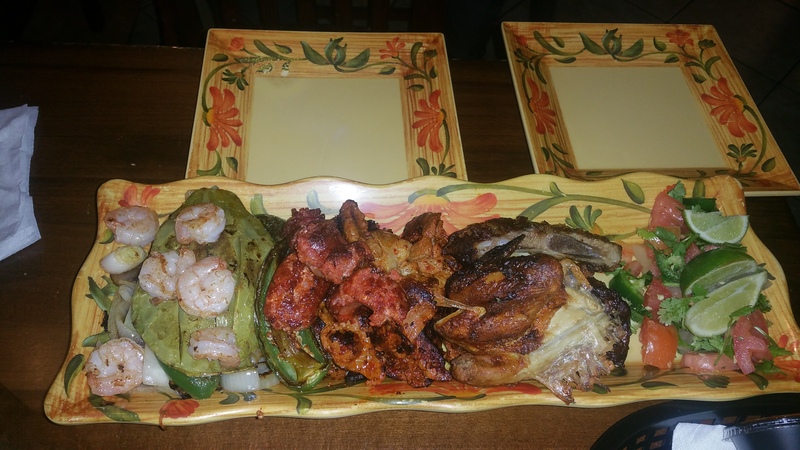 If you want to sample some authentic Mexican food and try a few different things on a budget, this is a cool dish. The chicken was flavorful but dry. The grilled jalapeños were outstanding mixed in with the grilled onion. The shrimp could have been bigger but again, this is a huge 20 dollar plate of food with sides. Ps, for those that don’t know, the have an open fire pit that they cook the chicken and ribs over. They use hickory wood. The redone Melting Pot has what looks like a good deal for happy hour. For $20 pp you get a salad, cheese fondue, and a few skewers of grilled meat/seafood. Well, you get what you pay for. The salads were not that great, the skewers were completely unseasoned and the lone sauce that came with it was lousy. The only decent thing was the cheese fondue. That pretty much sums up every trip I’ve ever taken there. Well besides the $20 pp. I took my ex there once many years ago. I haven’t been back since. At least at twenty it wasn’t a huge hit. I went all in a spent waaay too much. I have never heard of anyone who has had a positive experience here. I really wonder how they are still in business. Never been. My parents were going to take me for a birthday when I was in my late teens. However, right around that time, my dad’s friend went there with his family and said they had to stop for McDonald’s on the way home. That changed his mind and we ended up somewhere else. You should buy your dads friend a thank you card. I recall large groups of women when I was there on my only visit many years ago. It seemed to be couples and larger tables of women. I think they might enjoy this style of dining more than guys and it could serve as a place for women to chat and dine in a unique way. The profit margin has to be higher as I don’t think they are employing a huge cooking staff. Compound that with smaller portions of protein and you have a “recipe” for some high margins on a meal.